The way I look at Valentine's Day, it's just another excuse to remind the special people in your life or even to yourself, of being loved. And ain't life too short to care about cliché, corny or cheesy? Let's just celebrate anyway! So here I am, putting together a list of 5 places for date night today, for the benefit of all those celebrating love in Nashik. 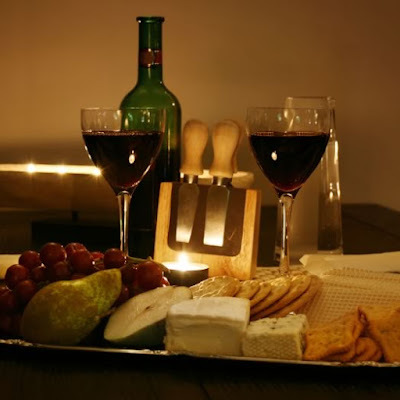 Simply plan to have a good time tonight with your friend, partner, lover, significant other or just by yourself! 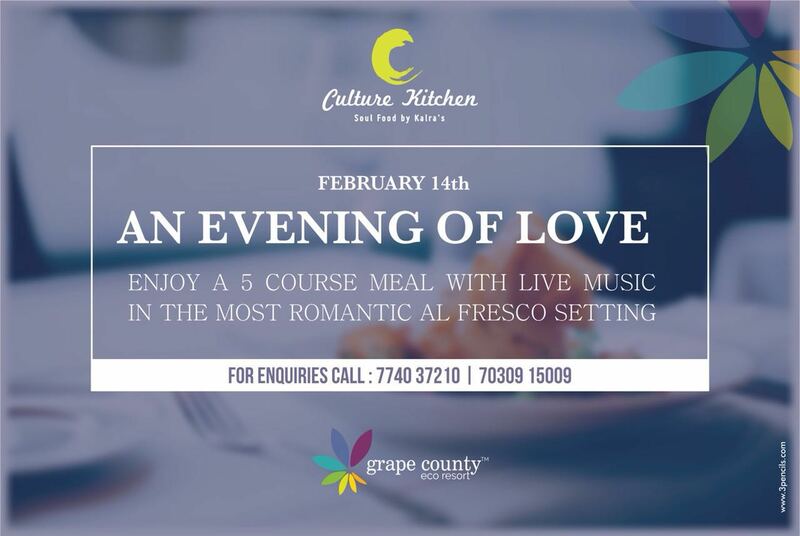 1) Culture Kitchen in Grape County has curated a 5 course menu and promises a lovely romantic ambiance with live music. Details mentioned below. 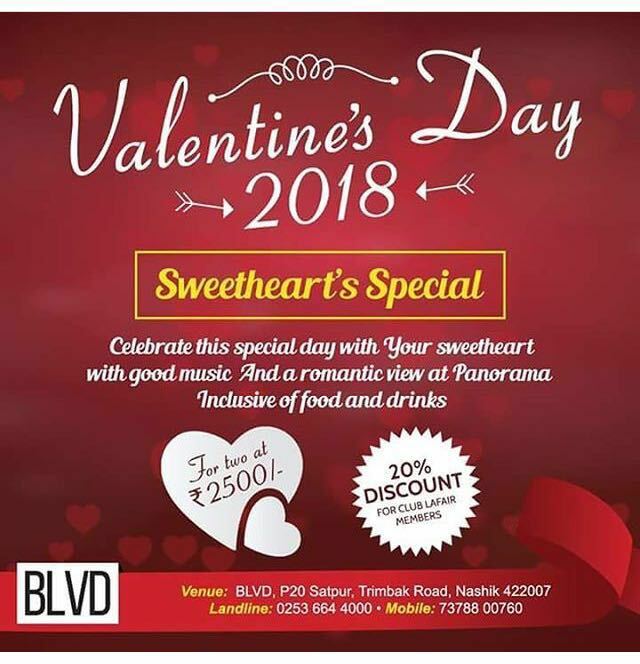 2) Panorama at BLVD has designed an exclusive package for two. Details mentioned below. Click HERE to know more about this new rooftop restaurant. 3) Mainland China is here for all oriental food lovers. 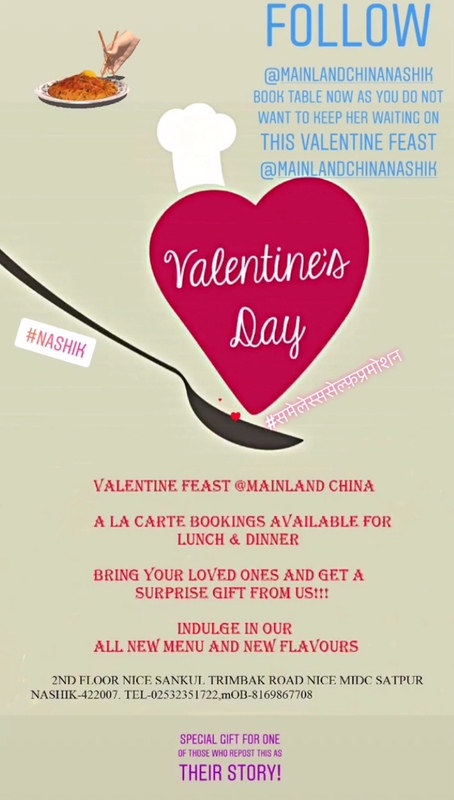 Click HERE for the blog post on Mainland China, Nashik. I also read surprise gift somewhere in there! 4) York Winery is one my of personal favorites for the gorgeous view and wine. Hands down the best view from a vineyard in Nashik. Cellardoor is the restaurant downstairs and is a decent place to dine while you are there. Click HERE to check out the York Vlog. 5) And then there's Sula of course! I would say its ideal for double dates. Also, there is Little Italy and Soma at Sula right there which spoils us for a choice between Italian and Indian food. Though I missed Sulafest this year, we had a good time there last year. Click HERE to check out the vlog.